Pentatonix (often abbreviated as PTX) is an American a cappella group of five vocalists originating from Arlington, Texas. The members are Scott Hoying (baritone lead/harmony), Kirstin Maldonado (mezzo-soprano lead/harmony), Mitch Grassi (counter-tenor lead/harmony), Kevin Olusola (tenor/ percussion), and Matt Sallee (bass). Avi Kaplan was formerly a member of the group; he was replaced by Sallee in 2017. Their work, mostly in, but not limited to, the pop music style, consists of covers of pre-existing songs and some original material, sometimes in the form of medleys. Their music is defined by their own arrangement style, a strong presence of low bass vocals, and a diverse range of vocal percussion. Pentatonix formed in 2011 and came to prominence the same year by winning the third season of "The Sing-Off" on NBC, their victory earning them $200,000 and a recording contract with Sony. Their debut EP "PTX, Volume 1" was released in 2012, followed by "PTXmas" the same year, with their third release "PTX, Vol. II", debuting at number 1 on Billboard's Independent Albums chart in 2013. 2014 saw the release of "PTX, Vol. III", and their two first full-length albums "PTX, Vols. 1 & 2" (a compilation of Vol. 1 and Vol. II) and "That's Christmas to Me". Their second holiday release, That's Christmas to Me, with the album certified gold by the Recording Industry Association of America (RIAA), platinum on December 24, 2014, and double platinum on February 11, 2016, becoming the highest-charting holiday album by a group since 1962, and the fourth-best-selling album in the United States in 2014. The following year, Pentatonix released their album, their first consisting mostly of original material, which debuted atop the US Billboard 200 chart for the first time in their career, followed by a third Christmas album, A Pentatonix Christmas, in 2016, and a new EP, PTX, Vol. IV – Classics, the following year. In May 2017, Kaplan announced that he would leave Pentatonix due to his inability to keep up with the touring demands of the group; he left after the completion of the tour in September, and was replaced by Matt Sallee the following month. Pentatonix has won three Grammy Awards: they were the first a cappella act to win Best Arrangement, Instrumental or A Cappella, doing so in 2015 and 2016, and Best Country Duo/Group Performance in 2017. 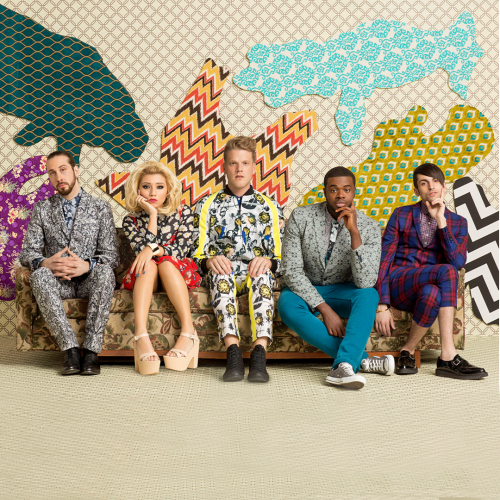 Pentatonix started their popular YouTube channel back in 2012 to promote themselves after the Sing-Off (Season 3, 2011) when they were dropped by their record label, according to a recent November 2014 interview. They also made effective use of social media to interact with their fan base. They have eclipsed almost 15 million subscribers and more than 2.7 billion cumulative views. Their music video for "Daft Punk" recently surpassed 273 million views. The group's website is: www.ptxofficial.com. Pentatonix official youtube channel: www.youtube.com/PTXofficial.